Today there have been reports of the evacuation of the employees of Exxon Mobil Corp. and Chevron Corp. from the platforms located in the Gulf of Mexico. 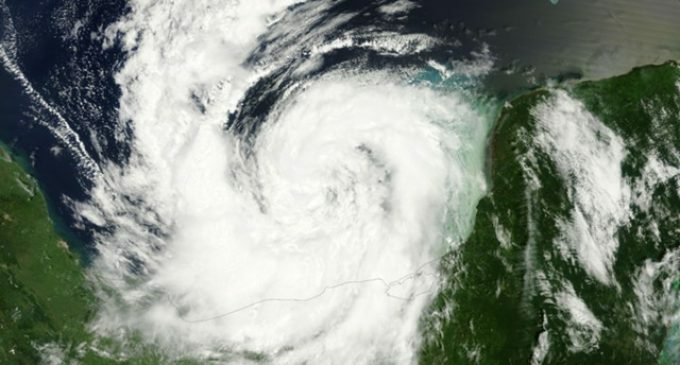 These measures have become a logical consequence of the frightening news from meteorologists about the approach of the devastating hurricane Nate. In addition to the evacuation, there is a suspension of gas and oil production. The United States Environmental Protection Agency reports that about 14.5% of the oil production platforms have been stopped at the moment. This means loss of about 255,000 barrels of “black gold” per day. Also, it is reported about the suspension of 6.4% of gas production in the region, in absolute terms it means 207 million cubic feet per day. It is expected that the peak of the hurricane will pass through the Gulf of Mexico at the weekend. This time, the oil companies are trying by all means to avoid the devastating consequences of the unpredictable disaster.